Dies R Us: Dear Santa..
Well, Wednesday has rolled around again and it's my turn to see what fun things I can tempt you with! Whenever I go to the Dies R Us Store & start window shopping, I find the most amazing things! Today's card was made with one of those finds! We all love dies & embossing folders, that just goes without saying. 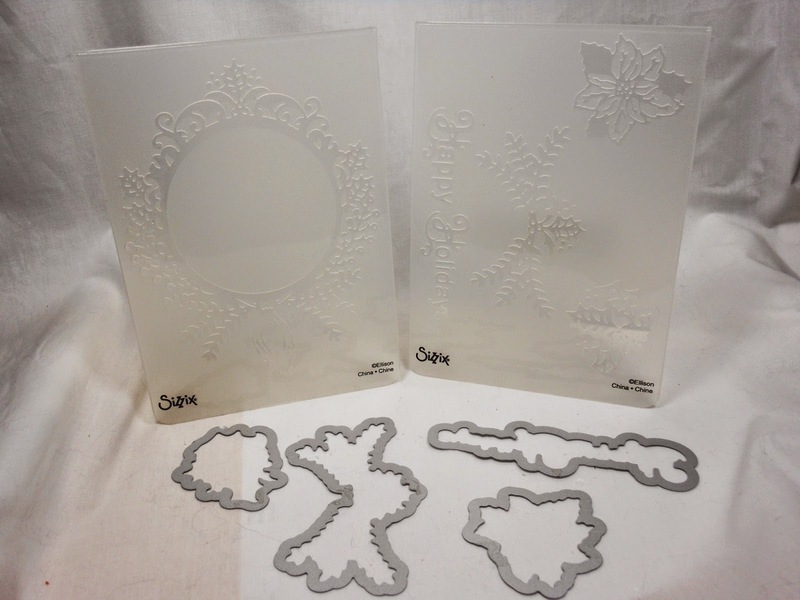 Well, Sizzix has combined some amazing embossing folders WITH matching dies! The set I used for today's card contains 2 beautiful embossing folders and 4 matching dies. Life just doesn't get any better! 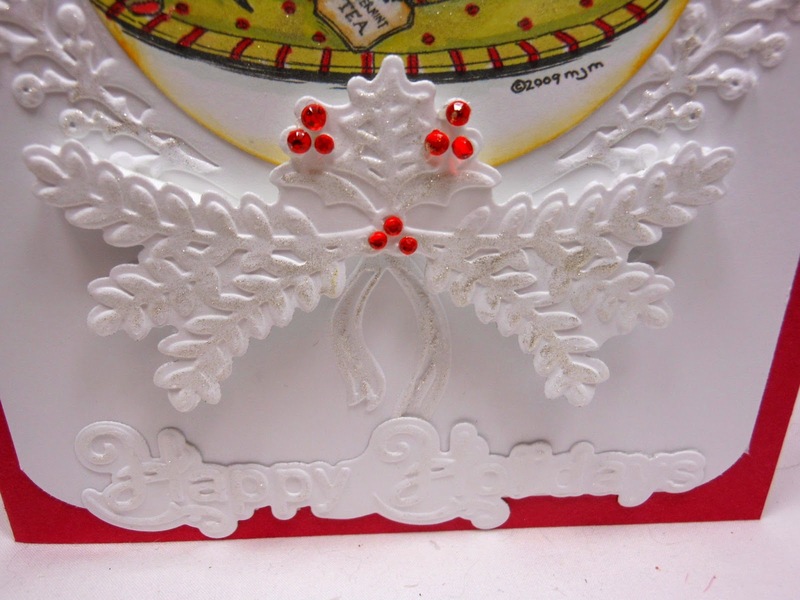 The set is Sizzix Ornament Set #2 and this is just one of the beautiful cards you can create with it. 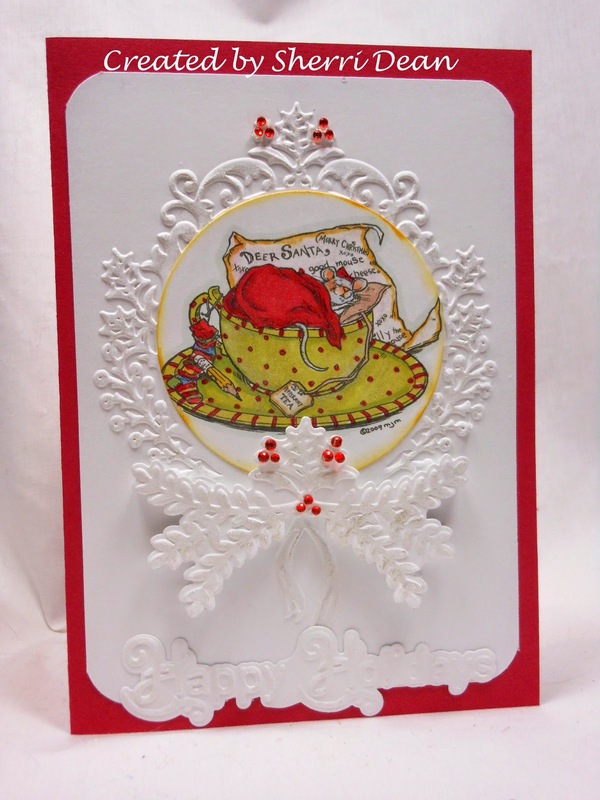 Once I embossed the front of this card, I added the cute Mo Manning mouse sleeping in his tea cup to the center. 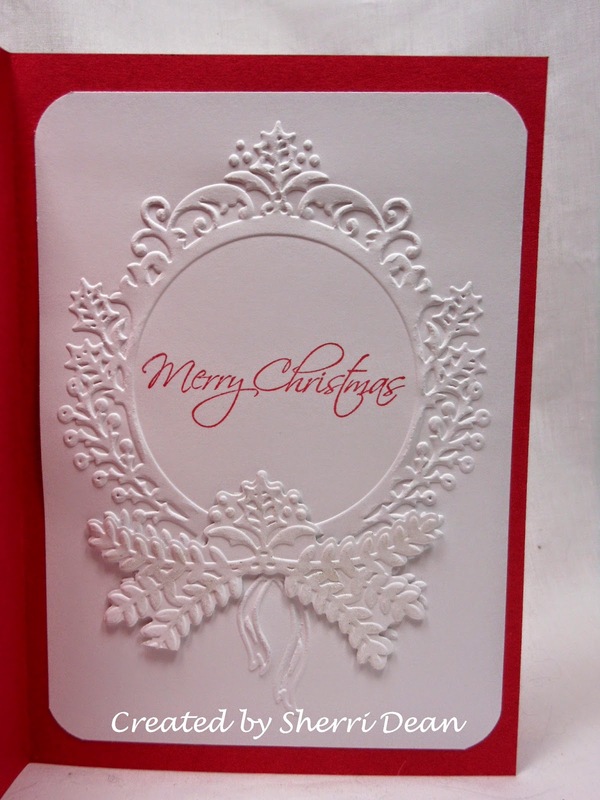 I also embossed the beautiful sprigs and used the matching die to cut it out & popped it up with some pop dots. The Happy Holidays sentiment is also part of the embossing you get & it too has a matching die to cut it out. This is a shot of the inside of the card. The embossing is just gorgeous isn't it? This is a close up of the sprigs and the sentiment. And here is a shot of the 2 folders and the 4 dies you get in this set! There is no end to the amazing cards you can make with this set! Why not use it to join the Christmas Challenge going on right now at the Dies R Us Challenge Blog? Be sure you check back tomorrow to see what amazing things Robin has in store for you too! By stopping by the blog each day, I guarantee you will find some terrific ideas! I'll be back again next week with something special. Until then, happy crafting! Absolutely gorgeous creation Sherri ... inside and out!! Sherri, this is stunning...love, love it!! And you just cost me some "moolah", as I just ordered it because of you...LOL! !